Create your own unforgettable journey down New Zealand's iconic Whanganui River. 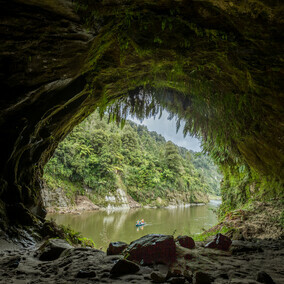 Situated on the Whanganui River, our base in Taumarunui in the Central Plateau of New Zealand offers an incredible scenic area including canoe adventures to suit your timeframe. From our super quick splash and dash to the unforgettable Ohinepane to Pipiriki four day journey or the ultimate five day excursion, contact us to plan your Whanganui River adventure and enjoy our complimentary door-to-river transfer shuttle service. 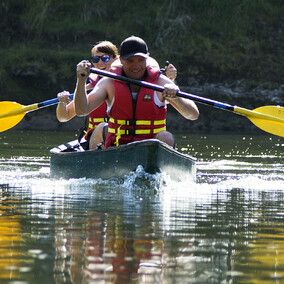 Blazing Paddles Canoe Adventures is being operated by Glenn and Raewyn Martin. The business has moved 200m north to 985 State Highway 4, Piriaka. We’ve built a reputation of being there early and getting you on the way home much quicker than most operators. 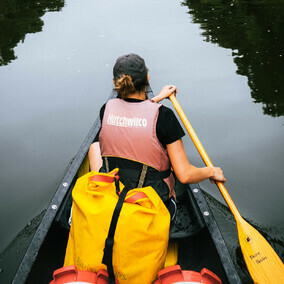 We have newly designed trailers, Great Canoes and Kayaks, Drums and Dry bags. We have added a Jet boat - 'Blazin Jet' to our Operation so for those without time or energy to paddle you can still get to enjoy the Whanganui River. We can customise tours to suit your requirements. We welcome all the Te Araroa Trail walkers with a special price to Wanganui. The Whanganui River has been home to the World Fly Fishing Championship in 2008 and will host the champs again in 2020. Check the river levels at Te Maire, Pipiriki, and Whanganui Town Bridge. Whanganui tidal info available also.